Thread: Question for the patch experts on the boards. I'd stay away from any cards from that set that appear too good to be true. Judging by the fact that the /5 version had only bat pieces I would be shocked if the /25 had a patch. The guy that did this was probably the same person that faked your card. How do the fakers pull bat pieces out without damaging the windows? 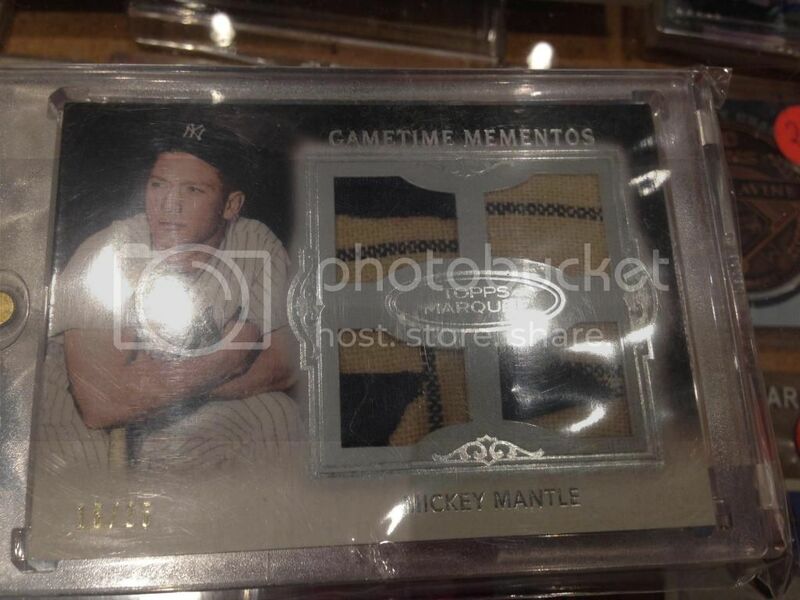 I understand how jersey pieces can be pulled out because they're flexible. Or do fakers split the card somehow and then glue it back together? The fakers split the card is my understanding. Some do. Personally, I will split the bat pieces using a #3 diamond blade. It doesn't take much pressure, and you have to be careful of the back of the card. Once split, I can overlap and pull out one side of the bat piece at at a time. With some windows, I may need to make two cuts (Absolute and Diamond Kings were notoriously hard). For these Museum pieces, I can use the #2 or #3 blade on the diagonal cut, and leave the middle to overlap. The hard part is getting the fake pieces in without curving the edges of the cut inward, which would be fishy. Also, while the jersey pieces are flexible, but I have messed up many a card pulling out the plain jersey pieces and not expecting the adhesive they use to be used as sparingly. I did get some samples of the glue from a retired DLP worker, so my fakes are pretty much identical to the originals.